We are very proud to announce that our NEW website: www.TierraSagradadeCostaRica.com is now available for your review. Here you will find much information about our Spiritual Retreat Center which offers much information about past and future retreats, as well as HOST-A-RETREAT. We are currently seeking LEADERS who have a following and desire to visit Costa Rica, with clients/friends, etc. We pride ourselves as being eminently AFFORDABLE as compared to many other retreats here. Also of interest is our VACATION RENTALS section, with 5 DRONE Videos, allowing you to see exactly what type of LODGING we have, in addition to Local locations, for 1/2 and day excursions. Videos of the grounds, flowers, and plants will certainly excite you, as well as our close-by famous beach Village of Dominical. 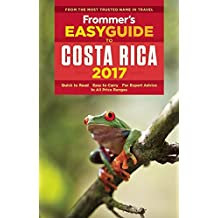 Try Frommer’s Guide to Costa Rica, Southern Pacific Region, for many more details and suggestions. This video is somewhat longer showing you the overview of the property and surrounding areas, as well as Dominical, our local beachtown, with the breeze-filled Pacific Ocean. For Daniel’s bio: obtained a BA is Psychology with a minor in Human Kinetics from Trinity Western University. He trained in bodywork from Blue Sky School of Massage Therapy, and employs primarily trigger point therapy and myofascial release techniques. By blending reflexology, Swedish techniques and craniosacral, massage sessions take on a unique HEALING flow. Some chronic and acute conditions can remarkably be healed in a session or two. More significantly, the therapeutic effect of massage can provide a powerful connection to the sacred story of the individual. For the seeker, healing can restore the lifetime purpose of connection with the Divine. to San Jose for airport and your flight. Early Middle Ages; of the Late Middle Ages; and, of the Modern Era). Please bring book for reading and discussion. 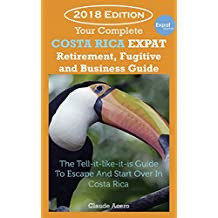 IF THIS FANTASTIC TOUR IN COSTA RICA APPEALS TO YOU, PLEASE CONTACT KEN FOR MORE DETAILS, AND TO BE PLACED ON A WAITING LIST. When sufficient #s are committed, off we go! Years ago I used to go to Hollywood, Florida, usually the first two weeks in Dec. While there I would fast, whether water or veggie broth, and add fast walking on the beach-front boardwalk. However, also included would be a deep tissue massage every other night along with a colonic every other night (something every night). In would lie on the floor for hours, in great silence, emptying my mind as much as possible, and THEN gentle stretching of every part of the body. I call it the Zen of Deep relaxation. Yes, sunbathing too while walking on the beach sands along the ocean shore. And some serious reading in between, usually some spiritual treatise. After two weeks I would return looking and feeling 20 years younger, or so my family and friends would say. I recall those days with wondrous amazement. I was on track to easily reach 100 or more. And I wanted to share that experience with others. I did somewhat but not enough for my desires. AND I got off the track!!! SO . . . here I am, back in the same grove. Something (Absolute Reality?) has literally taken over my body-mind and led it to do all sorts of unusual things, at all sorts of unusual and regular hours. It’s very hard to describe. A video might be better. But none here now. 1. Crucial: FASTING or greatly cut back on food intake. I have found the extra weight (fat) does not allow one to be extremely sensitized to the arising bodily sensations while pursuing what I am talking about. 2. Much SILENCE, along with time to empty the mind (consciousness) as much as possible=can be very difficult!! Where the hell do our thoughts come from? Can you STOP having thoughts? Try it and write me. 3. Utilizing every transformative modalitiy you can imagine or read about (see Growthworks: 150 Transformtive Experiences in a new website: www.newagecenter.org(partially constructed). HOWEVER, the idea here is SELF–Healing, not going to an outside practitioner with high bills, in some cases. Full Catastrophe Living; and, Wherever You Go,There You Are, both by Jon Kabat-Zinn). This can require many hours as different parts of the body will need more attention than others. And with more extension, more relaxation. walking for needed physical exercise and weight loss. some sort of initial awakening experience, a unitive sense of Oneness. Or, obviously, other types of uplifting inspirations. gigantic mountains, fresh, clean flowing river waters, the flowery valleys, the fresh air, the ocean breezes, the incredible-colored birds, and numerous insects, the VIEWS (EXPERIENCE the FACE of the Godhead, also known as Absolute Reality, with ITS aspect of the eternal, unchanging absolute unity and indivisibility of non-dual Reality). g) And prayer, continuously desiring that the GRACE of Absolute Consciousness be given to you (even though it has ALREADY been given, if one just identifies with the One and not with the manifestations of Maya). Shankara, in History of Mysticism, pages 187-196, says much on this subject: highly recommended.